Ben Roethlisberger finished 2016 with a productive year, passing for 3,819 yards, throwing for 29 touchdowns, and 13 interceptions. On the ground he managed to run 1 touchdown in, while running for only 14 yards. He missed two games this year due to injury (Week 7) and sitting out before the playoffs (Week 17). This translated to Roethlisberger finishing the year as the 18th ranked quarterback in 4-point touchdown leagues, and 10th best in 6-point touchdown leagues. 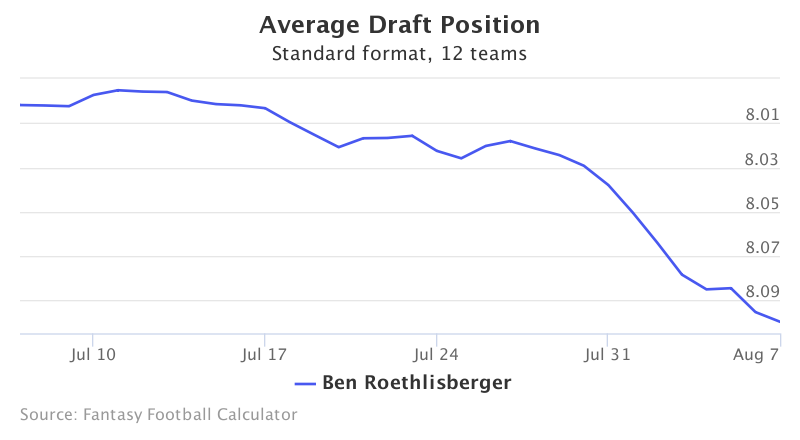 Roethlisberger’s fantasy football ADP has been rapidly falling over the past month to 8.09. Data is from 12-team standard mock drafts. Just a month ago Roethlisberger was being drafted at 7.12 and has fallen almost a full round since then, with his ADP continuing to trend downward. Throughout drafts, Roethlisberger has been drafted as high as 5.01 and as low as 11.05 – some are very optimistic about the offense this year with all its weapons, while others may still be worried about the weekly inconsistency. By now we have all read the articles and tweets outlining Big Ben and his home-road splits – something that has been a cause for concern for the past three years now. What we haven’t seen much of, are the “Killer B’s” (Ben Roethlisberger, Antonio Brown, Le’Veon Bell, and Martavis Bryant) on the field at the same time. Over the past two years, all the aforementioned players have only been on the field for 21 plays together. It is still unknown at what point Bryant will be reinstated this season, after he was suspended the entire 2016 season for violating the league's substance-abuse policy. 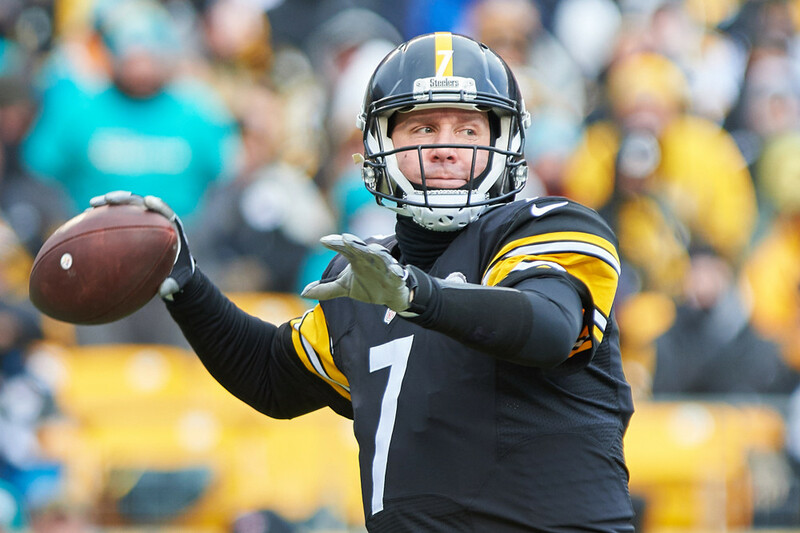 Having another high-impact weapon return to their offense will be crucial in not only Roethlisberger’s fantasy stats for the upcoming season, but also the Steeler’s chances to make the Super Bowl. In what might be his last season playing in the NFL, Roethlisberger will need to breakthrough the current trend of not playing as a QB1 when on the road to provide full upside. With his current ADP continuing to slide as drafts approach, value can be found with the potential explosion of the Steelers’ offense this year. If the home-road splits do worry owners and continue to persist even with a fully-equipped offense, owner’s may need to either draft a viable often late, or find themselves streaming weekly when the Steeler’s play on the road.